My favorite photo this week comes from snuggling with Josh & Lulu last night. 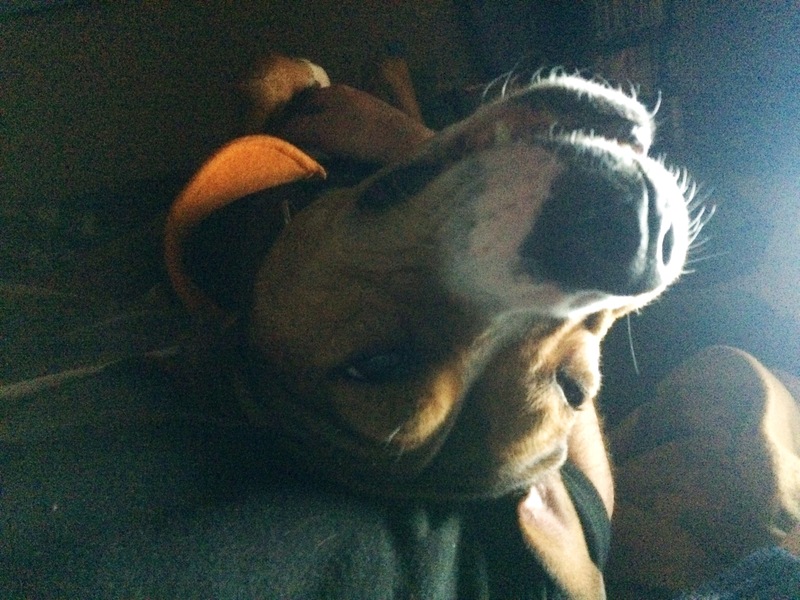 This goofy dog is such a sweetheart, and she always makes us laugh with her “PLEASE rub my belly!” contortion acts. I never thought I was a dog person until recently. I grew up with cats, and I was bit by a golden retriever when I was 7, so “not a dog person” was basically part of my identity. But Josh’s family has always had dogs, and my conversion really began when I started dating him. Their myriad of canine friends melted my “cats only” heart, little by little. Getting Lulu last summer was the nail in the coffin.